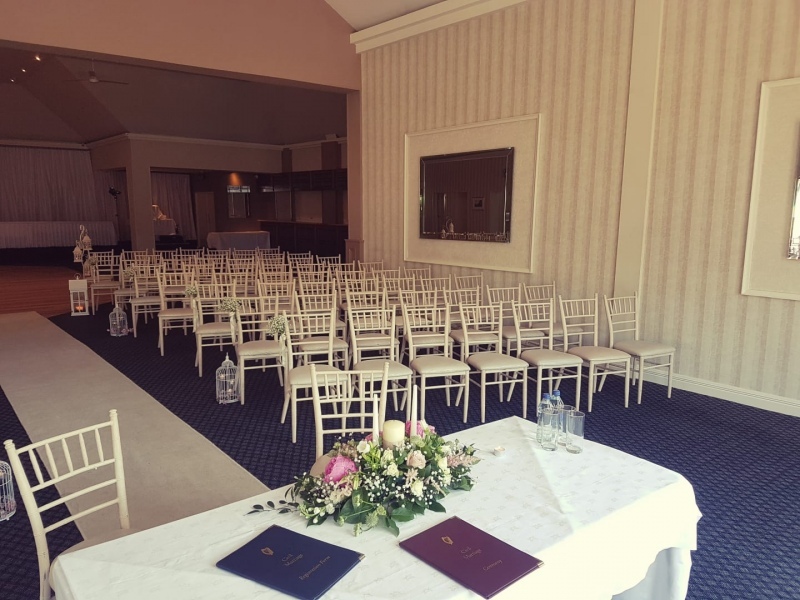 Civil Wedding Ceremonies at The Mill Park Hotel – The Mill Park Hotel has been approved by the civil registrar, to offer its facilities for both unique and personalised Civil Ceremonies and receptions. The hotels Castle Suite is ideal for large ceremonies of up to 350. 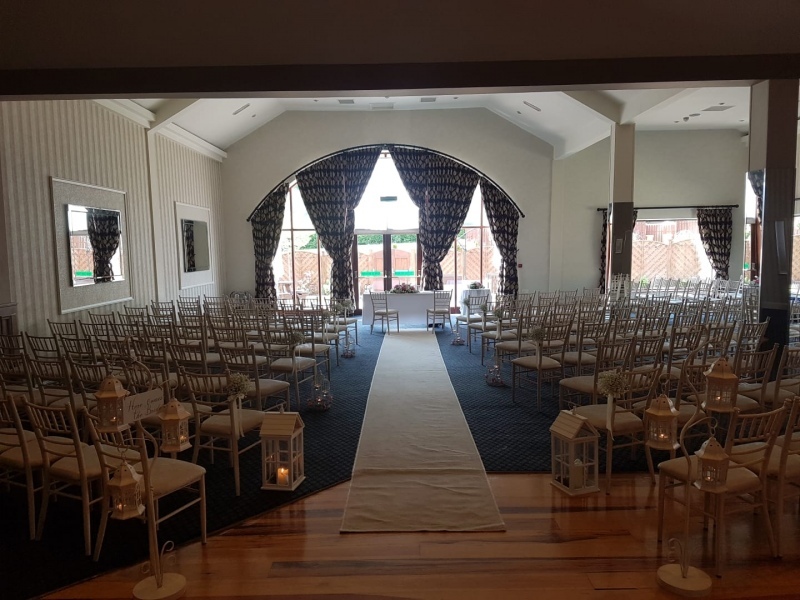 The Castle Suite is dressed with vintage Chiavari chairs, fresh floral arrangements and subtle candle light to add to the romantic ambience for your all-important ceremony. The hotels award winning international team of chefs will create versatile and imaginative menus for your wedding, our hotel banqueting team will ensure a prompt response to your enquiries. The hotels luxurious Castle Suite can accommodate up to 350 wedding guests, with state of the audio-visual facilities and boasts natural daylight, contemporary architecture with flexible staging and dance floor options. All Ceremonies are tailored to your requirements to ensure that your wedding will truly be an occasion to remember. The hotels wedding co-ordinator team provide attention to detail from your initial enquiry and can advise on wedding etiquette and assist with preparations right through to the big event, and are there to ensure the smooth running of the day.